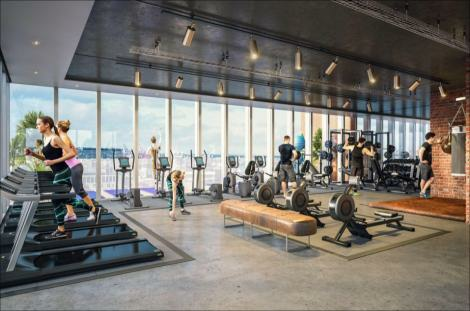 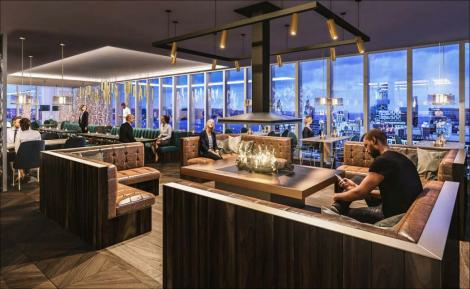 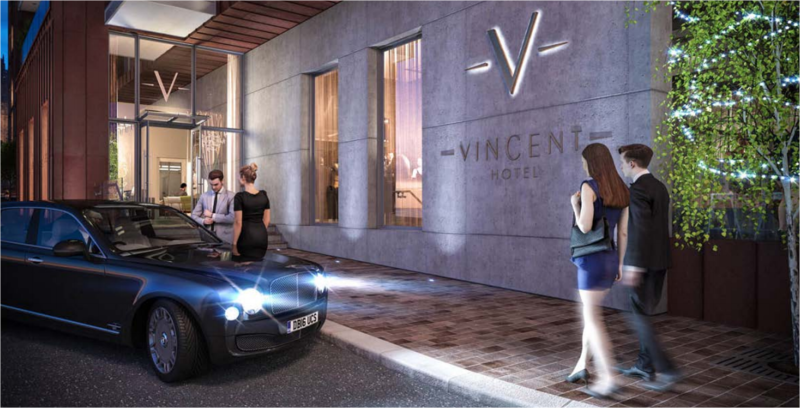 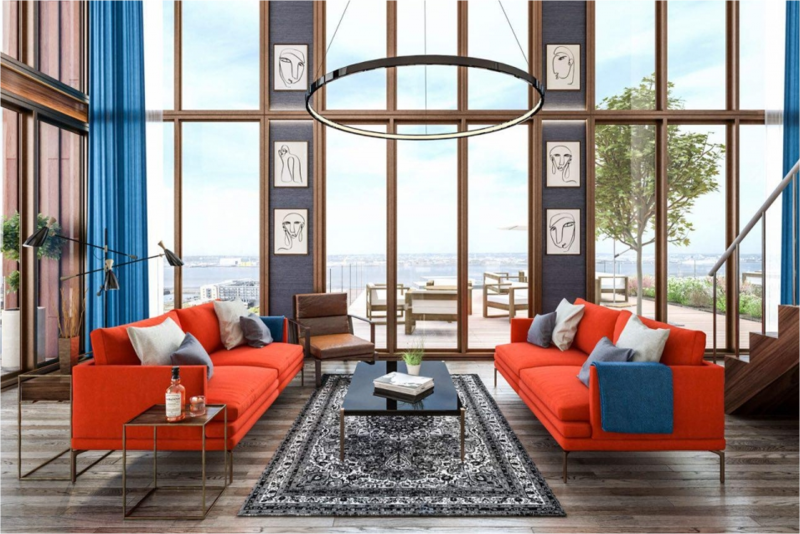 The Epic Hotel & Residence has been designed to allow investors to capitalise on the demand for hotel rooms in Liverpool. 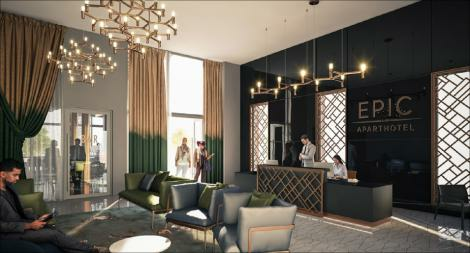 It will provide you with the opportunity to own a contemporary UK Hotel Suite next to Liverpool’s historic waterfront. 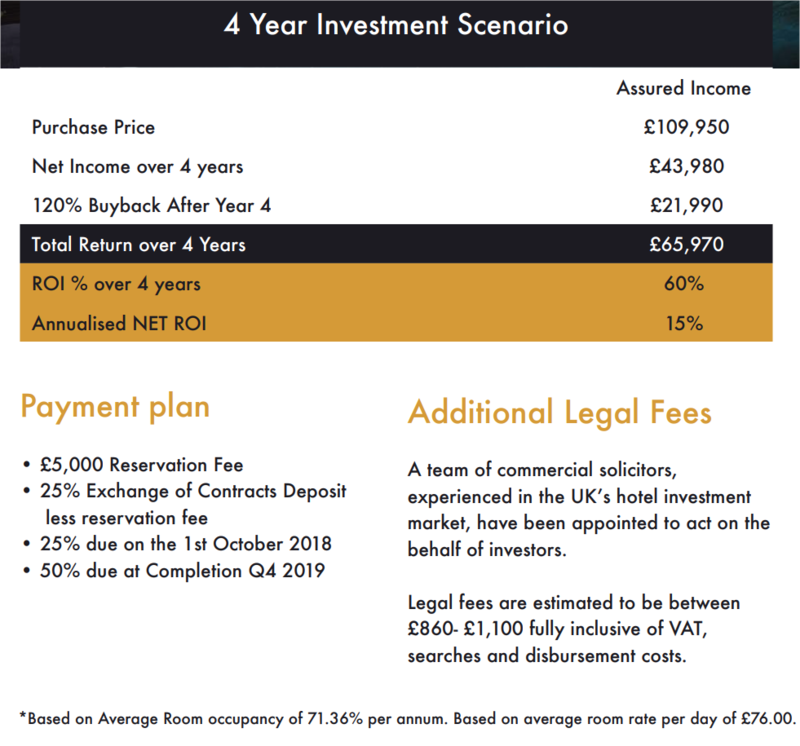 Upon completion, investors will receive 10% NET per annum assured for 10 years from a fully managed property. Boasting river and city views, the Epic Hotel & Residence is the first luxury hotel to emerge in Liverpool’s trendy Baltic Triangle. Guests will enjoy the convenience of the city centre location, with all the city’s iconic tourist attractions just moments away. 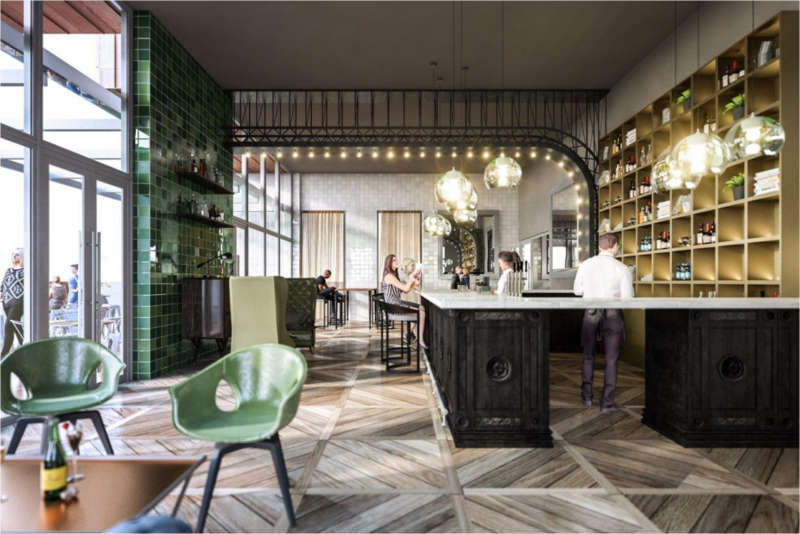 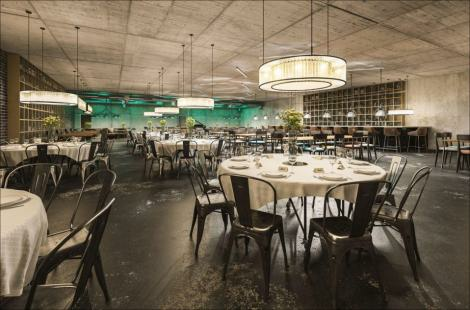 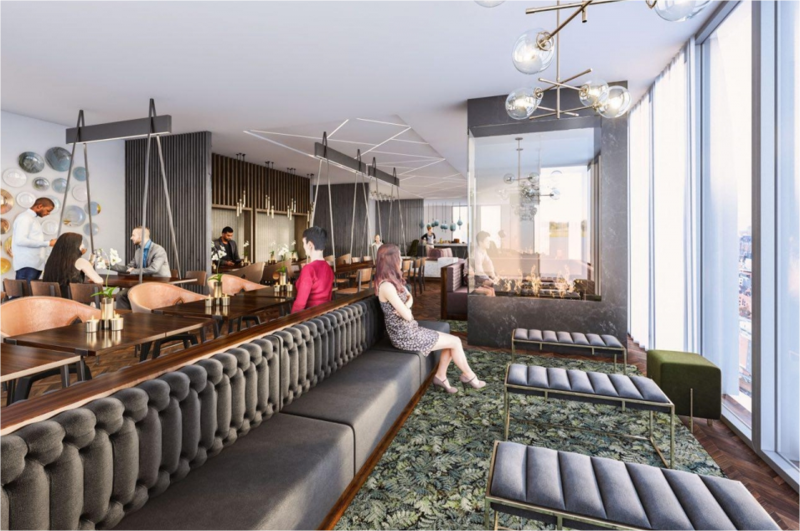 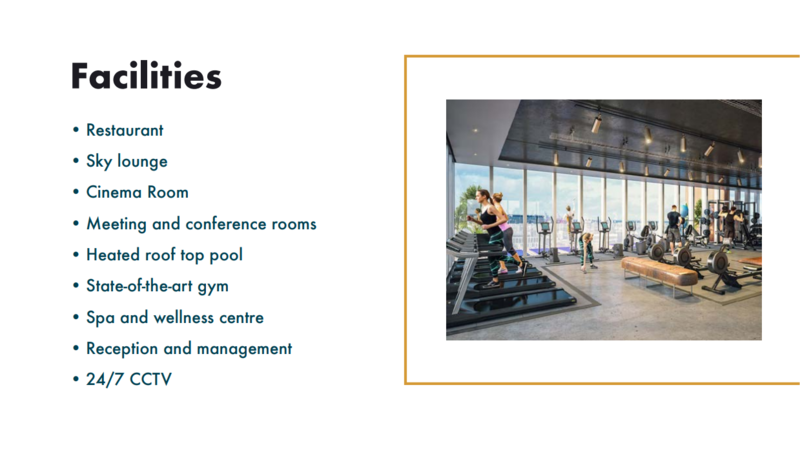 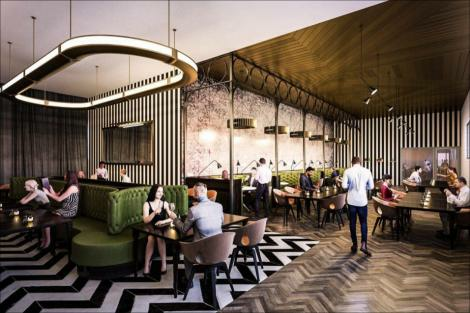 Occupying a prime location in Liverpool’s trendy Baltic Triangle, Epic Hotel & Residence will appeal to those people who wish to explore the area’s cultural offerings. 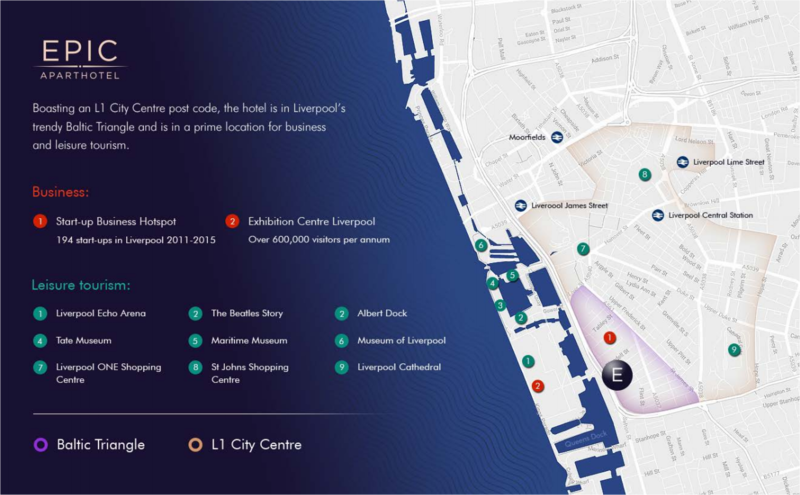 With main transport hubs, the stunning waterfront UNESCO World Heritage Site and the UK’s 4th largest shopping centre on its doorstep, the development will offer visitors the very best of Liverpool.